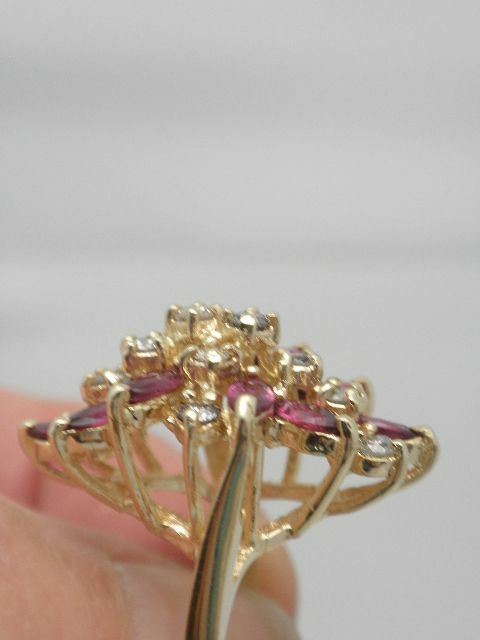 Ladies 14K yellow gold genuine marquis ruby and diamond ring. 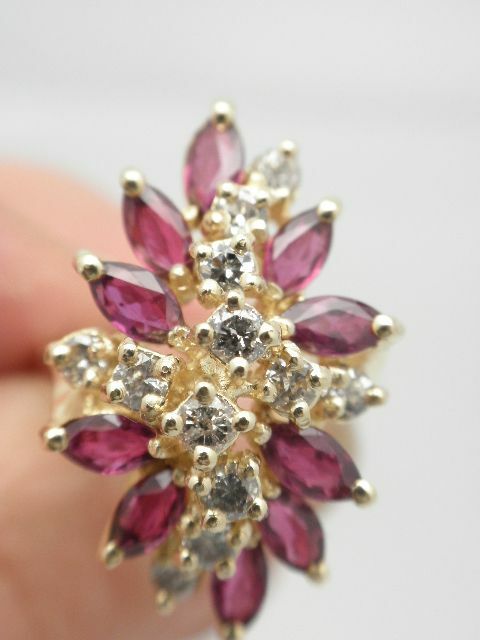 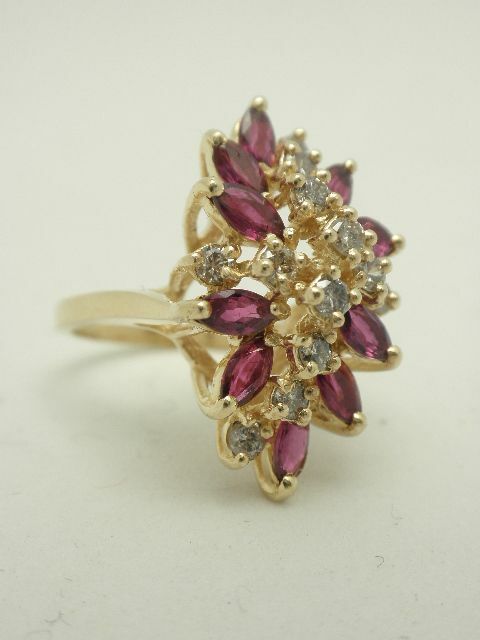 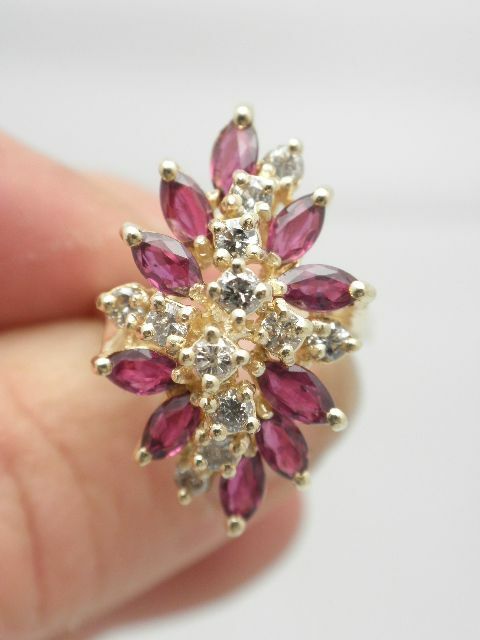 The ring is vintage set with ten marquis genuine clean with good color genuine rubies. 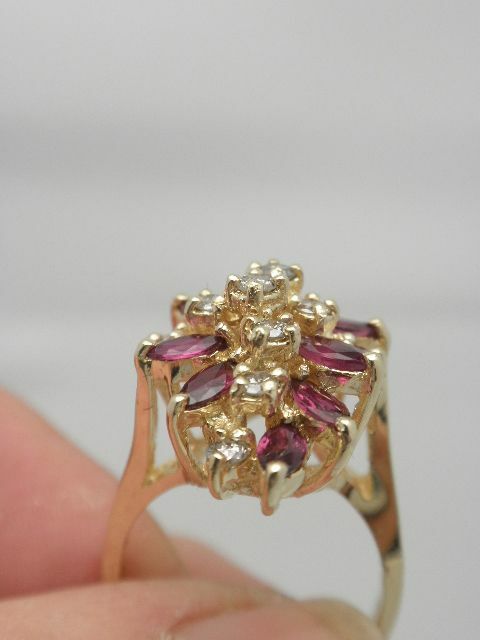 The ring measures 1" long by 5/8ths wide with a projection of 1/2". 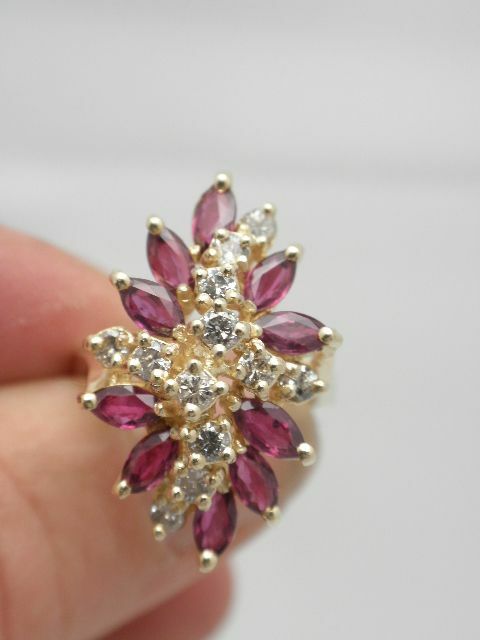 The ring is a size 6.5 and weighs 6.2 grams.